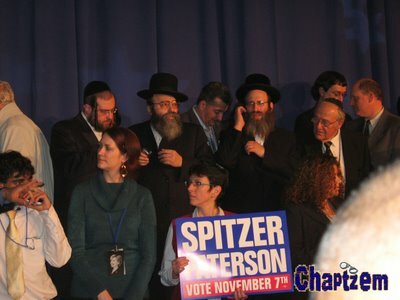 Former New York Governor Mario Cuomo, father of newly elected Attorney General Andrew Cuomo, came over specifically to shake the hand of Williamsburg knocker Rabbi David Neiderman. I dont understand . How can the chasidisher people sit in mixed company? Is it muttar for them if it is to thier benefit? I DONT THINK SO!! Lets ask some BIgG rabbis what they have to say about this . 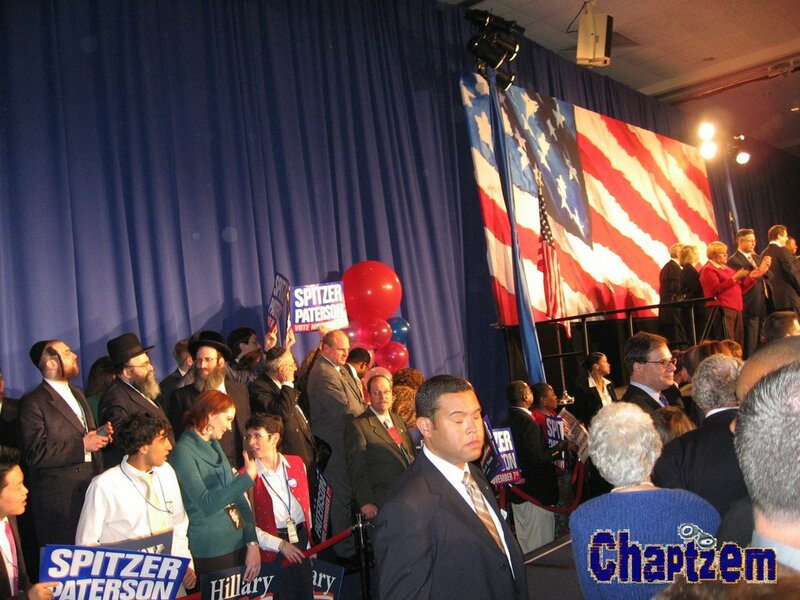 Who are those Chassidim in the picture there? What do they think, it's the gay parade? 10:16 the way it works is, you cant have mixed seating by a miami concert.the democratic convention is fine. p.s. 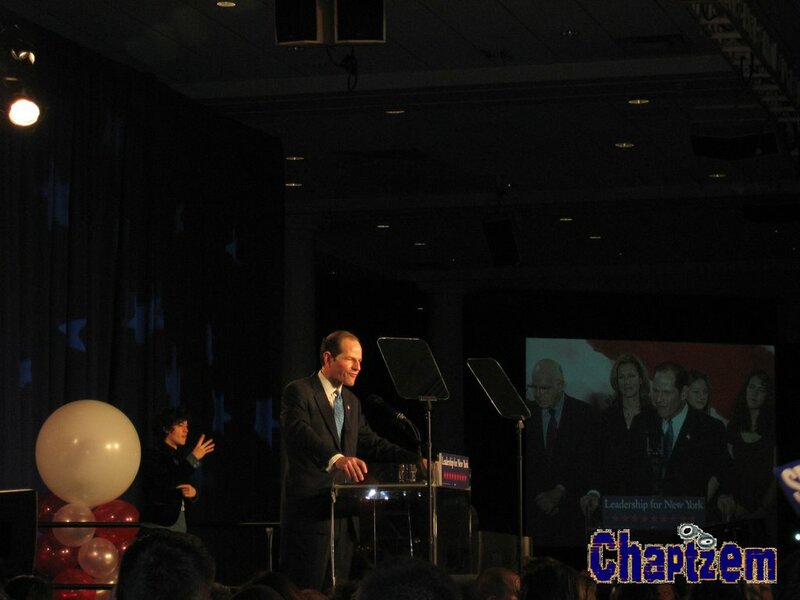 mission impossible 4: getting turned on by hilarry clinton. 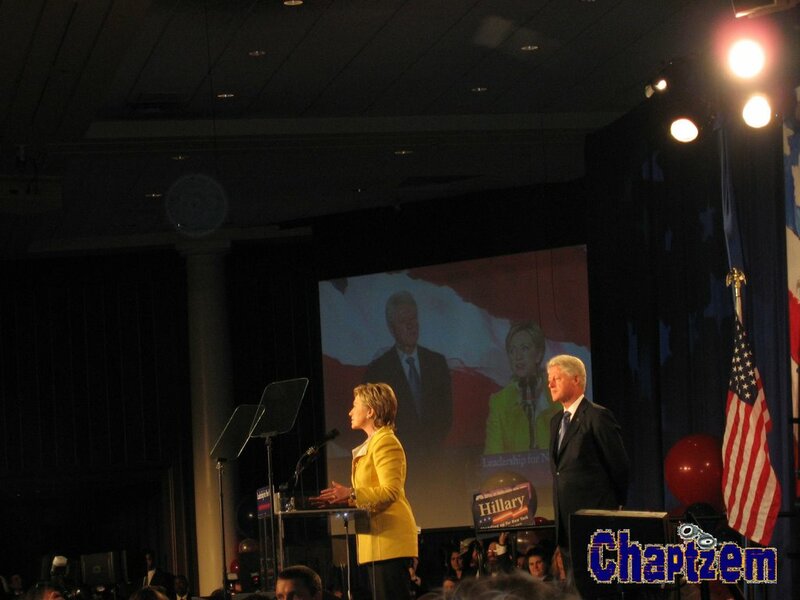 "mission impossible 4: getting turned on by hilarry clinton." 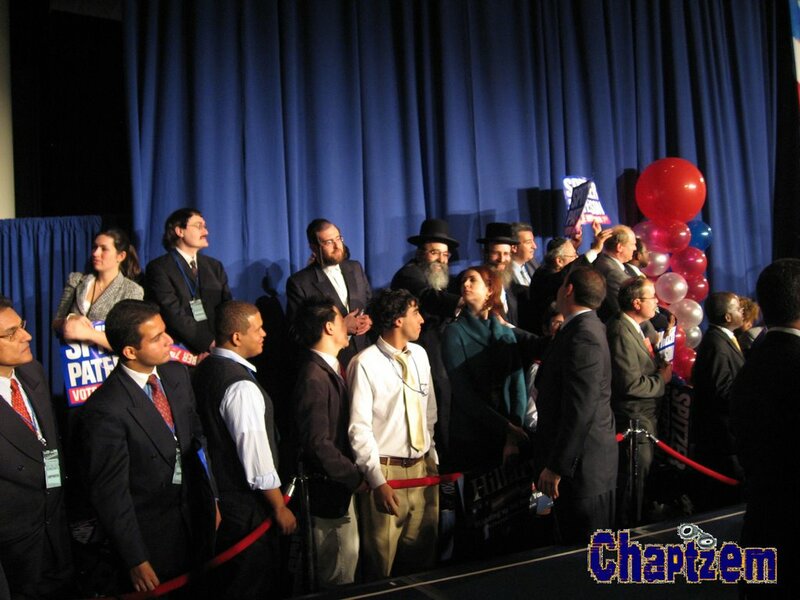 Halvei all chassidishe women would be that attractive. 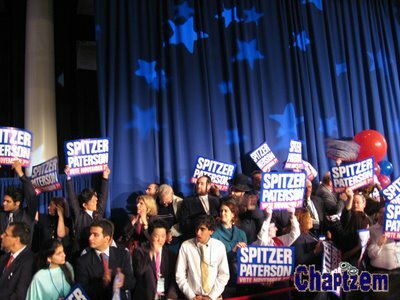 So Steinberg thinks he will get the Viznitzer hall closed with Spitzer. This MUSER should be thrown out of the communittee. People throw our their morals for money. How can we support politcian that support the Gay agenda.How can we support a woman who kissed Arafats wife? 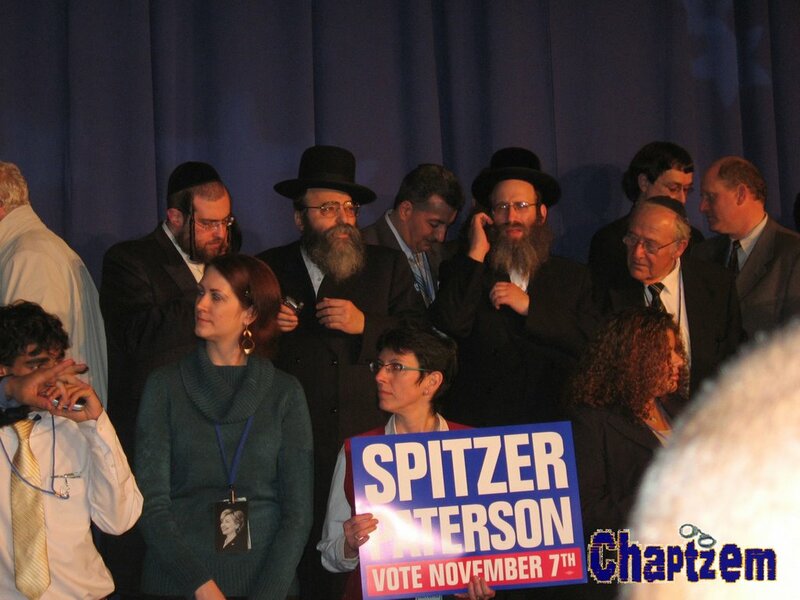 To:"So Steinberg thinks he will get the Viznitzer hall closed with Spitzer". 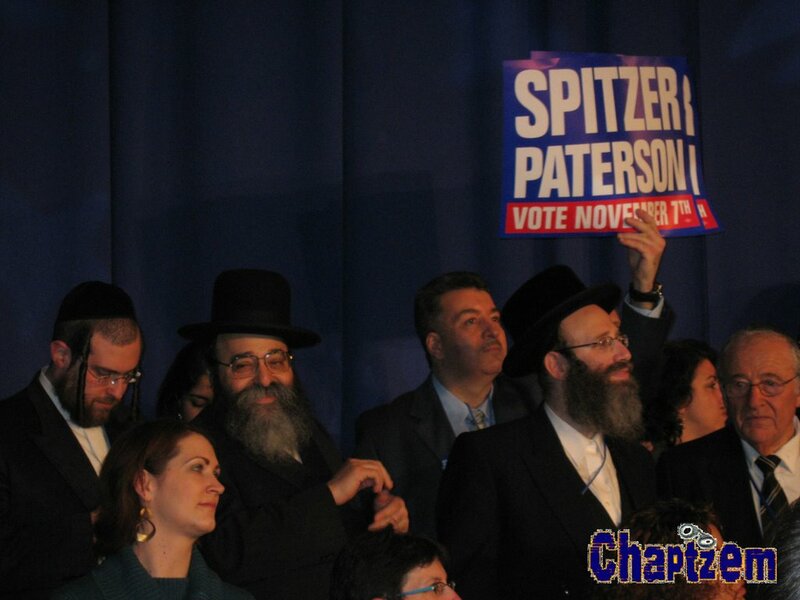 Forgive my naivete, but what does Steinberg want with the Viznitz hall and WHY? Look at the way the rebbeh is eyeing the maidel with the green sweater in the top pic. I know it could be his wife/daughter/whatever, but it still looks funny.